Mackinaw action has been hot. many limits of 3-6 pound fish have been coming in. Last Saturday Michell Kindall from Alaska reeled in a nice 20 pound mackinaw while fishing on the PT 109 with Gene St Denis. Best action has been on the Tahoe shelf in 120 to 240 feet of water. Medium chrome dodger and a live minnow has been most productive. Kokanee action has been spotty out in front of Camp Richardson. Go to the deeper waters and you will find them suspended between to top and bottom. The Cave Rock launch is still closed with no know opening day. To launch your boat there is Lake Forest, Obexers and the Tahoe Keys Marina. 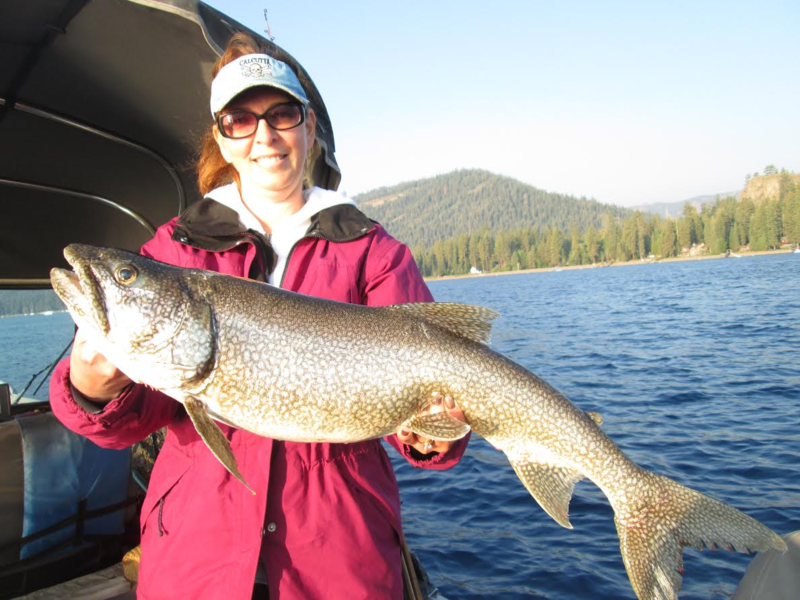 For more information call Blue Ribbon Fishing Charters at 530-544-6552.